Lying in the beautiful valley of the river North Tyne, Chesters is one of the series of permanent forts built during the construction of Hadrian's Wall. Occupied for nearly three centuries, it housed some 500 troops, and in the third century AD was garrisoned by a cavalry regiment from northern Spain. The substantial visible remains include the finest example of a Roman bath building in Europe, while nearby are the impressive remnants of the bridge that carried Hadrian's Wall across the North Tyne. 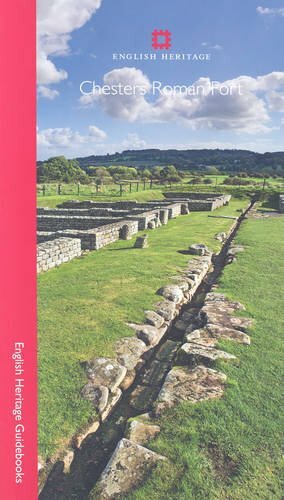 This guidebook, packed with reconstruction drawings, maps, plans and historic photographs, includes a full tour of the remains, and explains the history of Chesters and its excavation.